UK engineering graduates have voted for Sir James Dyson and Isambard Kingdom Brunel ahead of Apple's Steve Jobs as their favourite icons in their field. It arrived a day too late to make it into TechRadar's Brit Week, but GE's survey of 900 graduates has shown that two Brits – one living and one dead – are still topping the hero charts, for now at least. As past of TechRadar's Brit Week our Sir James Dyson interview saw the designer state that he wanted to see more engineering graduates, and it appears that many of those that are arriving out of our universities are fans of his too. Legendary civil engineer Brunel remains a deservingly enduring hero for engineers, but Jobs takes third spot, with Nikola Tesla and Bill Gates respectively rounding out the top five. "Our research shows that iconic figures – both historic and modern – continue to inspire a new generation of engineers," said Mark Elborne, President and CEO of GE UK. "We continue to see the impact of these icons all around us today; and our research shows that we have a proud tradition of pioneers and innovators in this country, which should be celebrated. "With the very significant environmental, energy and healthcare challenges we face today and will face in the future, it is critical that we continue to inspire young people into engineering and science, nurturing future generations of Brunels, Newtons and Edisons." You can also check out Dyson telling us that the UK needs more engineers, Sky's Brian Lenz admitting he fears we are not producing enough problem solvers from UK universities and Sir Richard Branson telling us that there's no reason Brits are not dominating the technology world. 1. Isambard Kingdom Brunel – leading civil engineer of 19 Century, built bridges, dockyards and railways. 2. 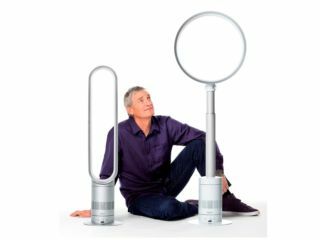 James Dyson – industrial designer who developed a new generation of vacuum cleaners and actively supports engineering projects in the UK. 3. Steve Jobs: co-founder and CEO of Apple Inc., which developed some of the most iconic personal technology products including the Mark II computer and iPod. 4. Nikola Tesla: inventor and engineer whose work formed the basis of modern alternating current electric power systems. 5. Bill Gates: co-founder and Chairman of Microsoft, who developed the industry standard operating system for personal computers. 6. Frank Whittle: RAF engineer who is credited with inventing the first jet propulsion engine. 7. Isaac Newton: physicist and theoretician who developed the concepts of mechanics, gravity and the laws of motion and invented the reflecting telescope. 8. Albert Einstein: theoretical physicist who developed the theory of general relativity and is considered the founder of modern physics. 9. Charles Rolls & Henry Royce: developed early engine technology and luxury motor vehicles. 10. Thomas Edison: inventor of the first commercially viable light bulb, motion picture camera and phonograph who revolutionised electrics and communications.